I stipulated to my work mates, no farewell parties and no pressies. After all this would be only the third time I am leaving the company! People are already demanding their money back as I keep joking. But I guess my stipulation came a little late or they chose to ignore me. 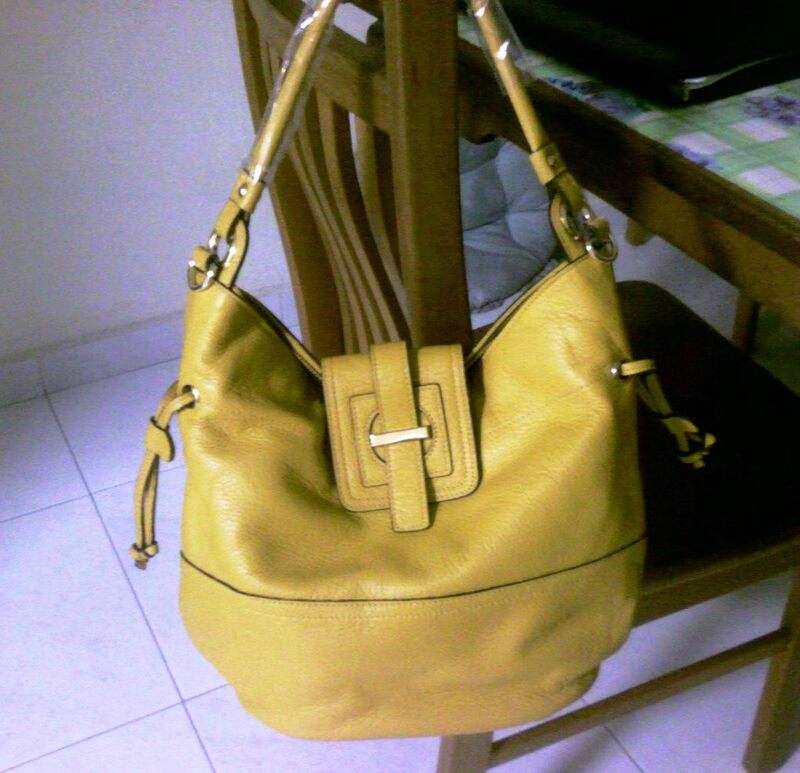 But they picked this gorgeous mustard coloured soft calf skin handbag that I absolutely love. I was already hankering after that colour when a colleague bought a book bag in that colour. But I didn't want a book bag. And this one is the same shade but in a gorgeous style. I love love love it. 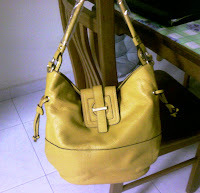 So that puts my vintage handbag obsession to rest for a little while now. Until I get that urge again, then who knows. I love old things. Some people call them junk. Some people turn their noses up at them because they aren't brand new. Some people wonder where the branded label is. I don't care what these people think, I just love vintage stuff. My shopping preferences have continuously veered towards trawling weekend markets for unique stuff and thrift shops for treasures. Holding an unexpected find, in the midst of dusty racks of clothes and bags, or turning over an interesting bit of pottery and finding a special potter's mark - all priceless experiences. I've had the fortune of having those experiences and love the thrill of the find, the search that goes before the find. Now that I've left Sydney, where my flea market shopping can be indulged to the maximum, I've turned to the virtual flea market online to feed my passion and it's grown to be a bit of an obsession. I've spent hours trawling the various shops, the next best thing to being physically present and turning a cup around in my hands, feeling the fabric, opening bags up and looking into them, trying jackets on and looking at myself in the mirror... But the virtual vintage shopping experience has been great. It's yielded many items which I covet. In addition to the jadeite brooch and a ring that I've bought and eagerly and patiently waiting the arrival of, I've been debating which of the vintage bags I should buy. 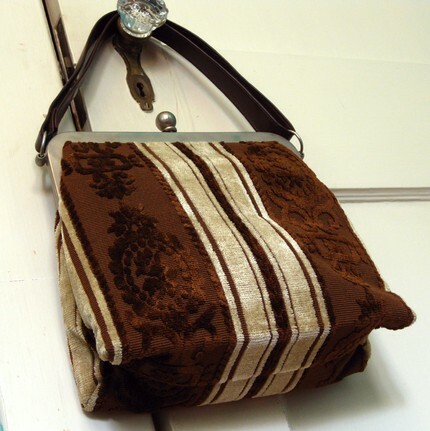 There are 3 or 4 that I have been thinking about, but I have been in love with this carpet bag as soon as I've set eyes on it. After mulling about it for 3 days, I decided I had better get it before some other discerning vintage lover beats me to it and then I would have to live with regrets. So now I just have to sit back and wait for my purchases to arrive. And try to control my vintage shopping and not let the obsession grow too large, especially when online shopping is so convenient and I have been paying for my purchases with PayPal, in support of the new job that I start in 4 days' time! I've been nursing an Etsy obsession for the longest time but it seems recently that I've been more obsessed than normal. I don't know what it is, maybe it's because I'm moving to a new job in a week's time and it heralds in a whole new horizon. So I think I should be getting more new (vintage - yes irony observed) stuff. Or maybe it's because I'll be earning a wee bit more money so I should treat myself a little. And whatever the reason, I just love Etsy and have been trawling for leather clutches, any other bags and the occasional vintage jewellery. My current top faves are the 1960s brown carpet bag and the baby blue Samsonite carry-on bag (the one that is slung on the model's shoulder below). I am still looking for a leather clutch that really speaks to me. And oh, I want a vintage bowling bag too. Why, I do not know and I guess that doesn't really matter, does it? We zipped down to Ikea on Saturday to get some fabric for the cushion covers that we were getting made. I had my eye on the grey one on the left when I saw it on my last trip and picked that for my choice. It's like an abstract botanica sort of print. As G and I agreed that we would each have our pick for 1 chair, I then tried to influence his selection. In fact, I tried to wrangle for both selections using my birthday as a leverage seeing that it was his gift to me. Unfortunately for me, even though the fabrics were his birthday present to me, he could not be influenced and selected a greyish-blue fabric with Japanese comic illustrations of Godzilla and some Japanese girl. He thought the graphics were so wonderful, especially from his "designer" point of view. Fortunately for me, the fabric was out of stock! Either that meant it was so popular that it ran out or so unpopular, they didn't bother to re-order. G left his contact for when the new stock comes in. In the meantime, he picked one of the fabrics I had pushed for, this one that reminded me of Maori prints, another abstract one. He picked one metre in the beige background and another in the black background so that both covers would be a positive and negative of the other. I thought that was a pretty cool idea. So even though the two chair covers aren't a matching pair, they would be complementary to each other and I can't wait for the end result. When you have something hanging over your head like the Sword of Damocles, you can only wish that there is a resolution either way. Living in wait for the shoe (or sword) to drop is no fun. I've lived the last 2 years plus waiting to see if the Australian Taxation Office is going to get round to my excess super contribution that I've unwittingly made when I first started work full-time in mid 2007, contributed mainly by misleading advice and a rotten excel tool provided by my company. It's cost me plenty in stress, sleepless nights and now, when ATO has finally caught up with me, an additional $10,000 in penalties. I've rung the ATO over the past 2 years, consulted tax people, written out drafts of what I was going to say in my appeal when the time comes and now when the time has come, I've lost the drafts. So finally, I have got my 2-page appeal out in draft and got an Australian lawyer friend to review it. But I guess, it all comes down to whether it appeals to their merciful side because nothing that happens to normal people is an exceptional circumstances according to the ATO website. It is your own stupidity, lack of judgement, trust in the wrong people including getting inaccurate professional advice. So I'm throwing myself at their mercy and asking them to "temper justice with mercy". This is inspirational and timely as I've just checked the cost of restoring a pair of 1960s teak armchairs which are similar. 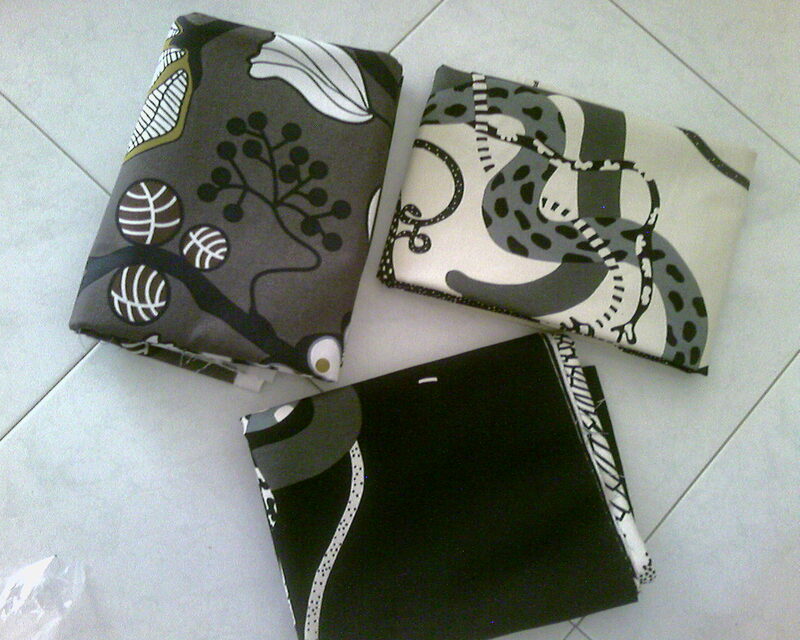 G and I have decided that we each get to choose the fabric we want on each of them - separately. The restoring which involves sanding down and varnishing would cost $$50 each and I need to get new cushions and covers done and that would definitely cost more than $50 each chair. 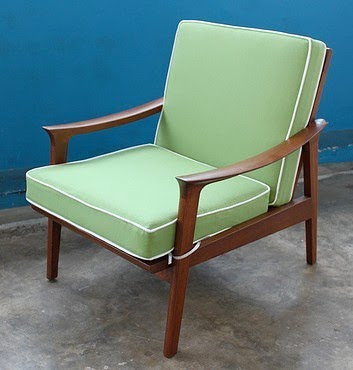 This armchair is from www.likethatone.com and I am in love with that store. This is going for $350. This is the store I want to own!